""Tavistock Group is committed to building long-term value across a broad range of industries and geographies. Our portfolio includes hospitality leisure, real estate, financial services, life science, manufacturing, distribution, energy production, sports and restaurant enterprises. Across the globe, Tavistock Group provides creative capital structured for each investment opportunity. We are flexible, decisive and discreet and empower management to focus on building value to become the leader in every sector we compete in. Tavistock Group has offices in Argentina, The Bahamas, China, European Union, Mexico and the United States."" By reading this I still have no idea what this business actually does, and it is actually a huge company. Kinda Funny. To visit the site click the Tavistock icon above. According to John Coleman this company is a major player in the New World Order. ""The University of Michigan Institute for Social Research (ISR) is the world's largest academic social science survey and research organization. We are a leader in developing and applying new social science methods, and we are committed to educating the next generation of social scientists. After a rich 60-year history, we continue to broaden our scientific reach through international ventures and new collaboration with federal agencies, foundations, corporations, and private individuals. ISR serves as a telescope on society, bringing the attitudes and behavior of people into clearer focus. Our annual budget of more than $80 million supports the research of more than 200 scientists from 20 disciplines, including psychology, business, economics, public health, demography, statistics, and engineering. Our large survey studies include the Reuters/University of Michigan Surveys of Consumers, the Health & Retirement Study, the National Survey of American Life, the Monitoring the Future Study, the Panel Study of Income Dynamics, and the World Values Study. These studies—providing data on voting behavior, teen drug and alcohol use, consumer confidence, the health and economic status of Black Americans, and other topics—are among our most visible work. But we also develop and test survey methodologies; conduct experimental studies; maintain and distribute the world's largest archive of social science data; and train and educate researchers and students from around the world in survey methodology and survey research."" ""The Institute for Advanced Study is one of the world’s leading centers for theoretical research and intellectual inquiry. The Institute exists to encourage and support fundamental research in the sciences and humanities – the original, often speculative, thinking that produces advances in knowledge that change the way we understand the world. It provides for the mentoring of scholars by Faculty, and it offers all who work there the freedom to undertake research that will make significant contributions in any of the broad range of fields in the sciences and humanities studied at the Institute. The Institute is a private, independent academic institution located in Princeton, New Jersey. It was founded in 1930 by philanthropists Louis Bamberger and his sister Caroline Bamberger Fuld, and established through the vision of founding Director Abraham Flexner. Past Faculty have included Albert Einstein, who remained at the Institute until his death in 1955, and distinguished scientists and scholars such as Kurt Gödel, J. Robert Oppenheimer, Erwin Panofsky, Homer A. Thompson, John von Neumann, George Kennan and Hermann Weyl."" Foster an environment that encourages collaboration and is dedicated to scientific integrity, the pursuit of knowledge and the ethical dimensions of research. Expand the scientific foundations of psychiatry to encompass prevention, service, policy and outcome research. Emphasize the importance of clinical research and facilitate the rapid integration of findings into the care of patients. Provide opportunities to understand the principles and mechanisms that underlie psychiatric and substance abuse disorders, and their treatment; prepare students and trainees to deliver clinical services of the highest quality in accordance with the understanding of these principles and promote the understanding of the ethical considerations in the delivery of care. Promote the delivery of care in a comprehensive, coordinated and cost-effective manner that meets the needs of patients, families and the community. Foster career development of an academic faculty with a broad range of professional interests and skills; foster mentor relationships between students, trainees, and junior faculty and faculty mentors, with special attention to the mentoring needs of minorities and women. ""Our founding purpose (since 1946): SRI, a nonprofit corporation, is committed to discovery and to the application of science and technology for knowledge, commerce, prosperity, and peace. SRI has a broad charter that encourages us to make a difference in the world through basic and applied research, research services, technology development, and commercialization of our innovations. Our vision is to be the premier independent source of high-value innovations and solutions. As an independent organization with a talented and experienced staff, SRI is uniquely positioned to consistently provide high-value solutions and world-changing value to our clients. Our strategy is to grow by building and leveraging our assets — client relationships, our intellectual property, and our staff — in important markets. SRI has built a foundation of broad and deep knowledge, including interdisciplinary expertise, to serve clients in the most important and exciting areas of opportunity in today's world. We serve clients in communications and networks; computing; economic development and science and technology policy; education; energy and environment; engineering systems; health; homeland security and national defense; materials and structures; and robotics. What we do is solve important problems, invent, create lasting value, and make an impact. These are the achievements that inspire our clients -- and us. Solving important problems and making an impact is what SRI is all about. We regularly invent new ideas that create entire new industries. SRI's decades of achievements include an Academy Award®, invention of the computer mouse and personal computing, and the birth of the Internet. We have started new companies, created the world's leading conference on Asia-Pacific international cooperation (the Pacific Basin Economic Council), transformed the lives of learning-disabled children, invented new drugs, and made major contributions to national security. And, through our commercialization strategy, we bring innovations to the marketplace and create lasting value that continues to make an impact many years after the basic research is completed."" ""The mission of MIT is to advance knowledge and educate students in science, technology and other areas of scholarship that will best serve the nation and the world in the 21st century — whether the focus is cancer, energy, economics or literature. ""(learn more about MIT's current initiatives). ""Hudson Institute challenges conventional thinking and helps manage strategic transitions to the future through interdisciplinary and collaborative studies in defense, international relations, economics, culture, science, technology, and law. Through publications, conferences and policy recommendations, we seek to guide global leaders in government and business. Since our founding in 1961 by the futurist Herman Kahn, Hudson’s perspective has been uniquely future-oriented and optimistic. Our research has stood the test of time in a world dramatically transformed by the collapse of the Soviet Union, the rise of China, and the advent of radicalism within Islam. Because Hudson sees the complexities within societies, we focus on the often-overlooked interplay among culture, demography, technology, markets, and political leadership. Our broad-based approach has, for decades, allowed us to present well-timed recommendations to leaders in government and business, domestically as well as abroad. Hudson Institute has grown steadily-both in prestige and resources-from its origins in Croton-on-Hudson, to its tenure in Indianapolis, and now as a leading international policy organization with offices in Washington and New York. In the 1970s, Hudson’s scholars helped turn the world away from the no-growth policies of the Club of Rome; in the early 1990s, we helped the newly-liberated Baltic nations become booming market economies; at home, we helped write the pioneering Wisconsin welfare reform law that became the model for successful national welfare reform in the mid-1990s. Today, as part of our research agenda, we are developing programs of political and economic reform to transform the Muslim world."" Brookings is proud to be consistently ranked as the most influential, most quoted and most trusted think tank. The research agenda and recommendations of Brookings’s experts are rooted in open-minded inquiry and our scholars represent diverse points of view. More than 200 resident and nonresident fellows research issues; write books, papers, articles and opinion pieces; testify before congressional committees and participate in dozens of public events each year. The Institution’s president, Strobe Talbott, is responsible for setting policies that maintain Brookings’s reputation for quality, independence and impact. RAND focuses on the issues that matter most such as health, education, national security, international affairs, law and business, the environment, and more. With a research staff consisting of some of the world's preeminent minds, RAND has been expanding the boundaries of human knowledge for more than 60 years. As a nonpartisan organization, RAND is widely respected for operating independent of political and commercial pressures. See History and Mission. RAND's tradition of problem-solving continues to this day. Much of this research is carried out on behalf of public and private grantors and clients. Philanthropic dollars help support RAND's Investment in People and Ideas program, our vehicle for funding research inquiries into critical but often underappreciated policy areas and attracting the world's top talent to focus on these challenges. All RAND work—every publication, database, or major briefing—is held to rigorous and sometimes painstaking review processes. Such exacting standards are the foundation of RAND's impeccable reputation throughout the world. See Standards for High Quality Research and Analysis and RAND's Institutional Principles. RAND improves policy and decisionmaking through research and analysis. At times, grantors or clients may ask RAND to deliver research without suggesting a specific course of action. At other times, RAND may provide a range of solutions with an analysis of advantages and disadvantages. 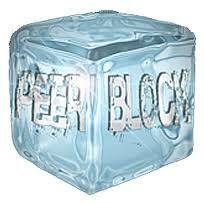 On certain occasions, RAND may formulate or even support clear-cut policy recommendations. What remains constant is RAND's commitment to public service by communicating its findings to a wide audience. This is accomplished in many ways. 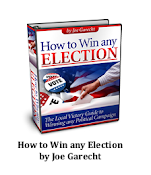 They include announcements to media, testimony by experts at RAND (often to the U.S. Congress), and publications, many of which are available free on this Web site. See Newsroom, Congressional Resources, and Reports and Bookstore. RAND in the 21st century continues to address difficult challenges throughout the world. In many ways, RAND's future reflects its past: anticipating emerging issues; establishing new angles of inquiry; and mapping the territory for responses by government, business, and society. Commitment to these high standards will continue to define RAND's work in the years to come. 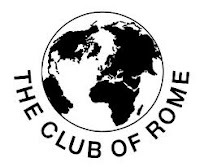 The Club of Rome is an independent, non-profit organisation. In its work the Club of Rome is addressing the root causes of the challenges and crises the world faces today: our current concepts of growth, development and globalization.The Club of Rome acts as a platform which brings together academics, scientists, politicians, business professionals and members of the civil society to design, develop and implement effective approaches on a broad range of interconnected global issues. These issues include environmental sustainability, economic growth, resource consumption, peace, security and demographics. ""We are educators, doctors, nurses, human service workers, community activists, organizational development professionals, students, writers, musicians, artists, health and social workers, counselors, scientists, architects, business people, politicians, spiritual leaders, homemakers, trades people, anyone who shares humanistic values and wants to make a difference. While it has humanized and revolutionized psychology with its emphasis on our conscious ability to choose and create, AHP is not just for psychologists."" ""Henry A. Kissinger was sworn in on September 22, 1973, as the 56th Secretary of State, a position he held until January 20, 1977. He also served as Assistant to the President for National Security Affairs from January 20, 1969, until November 3, 1975. 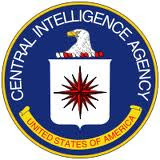 At present, Dr. Kissinger is Chairman of Kissinger Associates, Inc., an international consulting firm. For a detailed list of Dr. Kissinger's other activities, please see his biography. The purpose of this website is to bring together in one convenient location Dr. Kissinger's recent writings and statements. 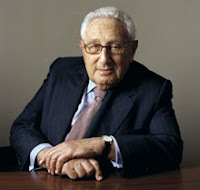 These include his numerous articles on United States foreign policy, international affairs and diplomatic history syndicated by Tribune Media Services International; speeches delivered by Dr. Kissinger during his travels in the U.S. and abroad; interviews and remembrances of late friends and colleagues. In addition to his detailed biography mentioned above, this website provides a list of the books Dr. Kissinger has published over the years."" The Star Group dictates everything to the major corporations of America.